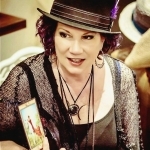 Kimberly is a professional Psychic Medium, Level ll Usui Holy Fire Reiki Practitioner and Registered Nurse. She has a practical and honest approach that will bring you information, enlightenment, hope, and the answers you seek. She offers clear, candid and loving communication with your passed loved ones and pets. During your session she connects with your Angels, Spirit Guides and passed loved ones to help you gain focus, clarity and confidence to make more informed decisions. Every reading is unique and can bring you messages of comfort, joy, forgiveness, and the healing you need. Kimberly is a talented Psychic/ Medium that delivers candid and honest information. She encourages questions and wishes you love, light, hope and happiness. that you and spirit have give me this wonderful opportunity. To get the insight you seek, find what your future holds or connect with passed loved ones, schedule your appointment today. I recently had a reading with Kimberly, and she was kind, "down to earth," and accurate with the information she gave me. I had specific questions that she explained to me in detail and was able to clarify the situation for me. I definitely recommend her to anyone that wants a reading from a talented psychic with a genuine gift. If you are looking for the real deal....look no further. Kim is genuine, honest and only seeking to provide the connection and answers that you seek. She is a rare one. who truly cares about the person she is reading for. You are not just a call to her, you are a person she wants to help any way she can. You will get much more than you called for. Well worth every penny. Love, love, love Kim! My first reading with her was absolutely spot on so I have been back for more! My daughter has seen Kim as well and felt such a sense of relief and calmness after her reading. You will not be disappointed! I got the chance to speak with Kimberly today and it was refreshing. I loved the energy that I felt from her. I called her about a specific thing and in the middle of that, the next thing I know my grandma was present and we were receiving messages from her. I really appreciated Kimberly explaining what she was sensing and what she was drawing; these were the reasons behind the questions she was asking. She gave me some great insight about my spiritual growth. I feel that she was very accurate. I really had an amazing and accurate reading with Kimberly... she gave me good validation to let me know that she was really connecting with my father by telling me a specific detail about him and also specific deatails about myself and situation as well... the one message that stuck out the most was me applying and giving up at this job I really wanted... well she told me what to do and it worked the lady was happy I came back to the job to talk to her... will definitely call again!!! Kimberly is by far the most talented psychic/medium I have met. Her energy is wonderful and she brings so much comfort and healing in her messages. She is amazing! Kim's reading for me was spot on. She provided me a new perspective on events that happened around my mother's death and it was very comforting. We also had a highly interesting discussion on several matters of a mutual interest. Kim is down to earth easy to talk to and very informative. I do recommend her! My experience from Kim's reading made me feel at Peace after my son's father's death. She knew things about him that blew me away! Literally, some of the things she said were things that related just to him, only I would know about.... And even details about my son's life right now that shocked me... She is an absolute true psychic. I am so happy to have come in contact with her. Highly recommend her! I've seen Kim on several occasions and each time she nails exactly what I'm seeking. She's also so very gifted, that I'm in awe. I recommend her to everyone I have ever had ask me about who to see. She is so very kind and I always leave readings with her feeling so much lighter in my soul. Kim is a great psychic!! All of her insights were dead on. And she gave me the perfect information to guide me for the future. Everything happened just like she said it would. So Awesome!